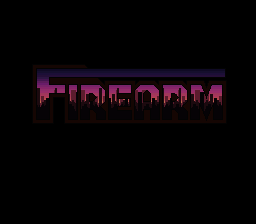 Firearm was an unreleased game for both the Super NES and Sega Genesis, based on the Malibu Comics multiverse. Scans courtesy of KingMike. Thanks to Mr.Forever for pointing out that the ROM image was leaked. Back in the early to mid 1990s, comic books hit a sort of renaissance. During that time, a small comic book company known as Malibu Comics produced several comics, including Firearm. They had plans to release several video games based upon their Ultraverse comics, including Prime and Firearm. Firearm was an 18 comic series about a private investigator named Alec Swan, who investigates cases involving super-humans. In the comics, Swan investigates kidnappings and murders. The game did not get a whole lot attention. It did get a preview in the May 1994 issue of EGM, where it described it as being a largely incomplete two level demo. Earlier this month (December 2010), a ROM image of Firearm was released on the SnesOrama boards. This is a short alpha or pre-alpha build of the game, and appears to be at an earlier state than the version shown in the EGM preview. The date stamp on the file is "December 17, 1993", which predates the EGM preview by a few months. There is not much to the alpha. 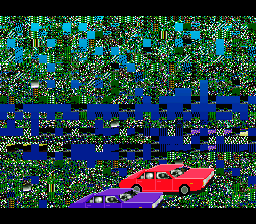 There is an intro screen that shows off the Alec Swan character, followed by a glitchy scene with two cars. 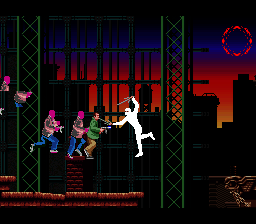 The game starts off with in a sewer level, with three enemies: ninjas, thugs with guns, and airborne drones. Swan has several weapons, including machine guns, homing missiles and bombs. Death has not been programmed in this build, and if you fall down a pit, you merely fall from the top of the screen. The animation of Swan is actually very smooth, and the characters appear to be digitized, ala Out of This World. 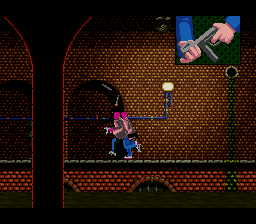 The music is a single guitar oriented track, that wouldn't feel out of place in other superhero games for the SNES. 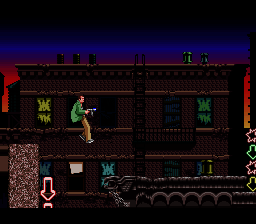 The second level, which takes place on rooftops, can be accessed by pressing the "R" button. 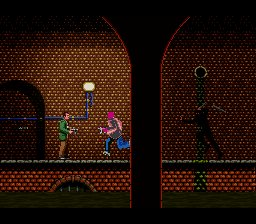 The platforming aspect is not programmed yet, as you can run through buildings. Jumping in this level causes you to lose control of Swan, and the screen automatically scrolls. worked. It's some magic store named the 'Cabinet of Chaos'. I also found the name Allan Shortt in the ROM image. He was a programmer at Malibu Interactive, so I assume he was the programmer of this game. On the whole, this game is no where close to being complete, and it is unknown if it advanced much beyond the two levels seen in this alpha. 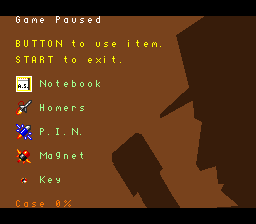 Don't press Start, you can't escape this screen! Scan from page 138 of the May 1994 issue of EGM showing a preview for Firearm.